Product #15641 | SKU MB_PK67-LS-BM1 | 0.0 (no ratings yet) Thanks for your rating! 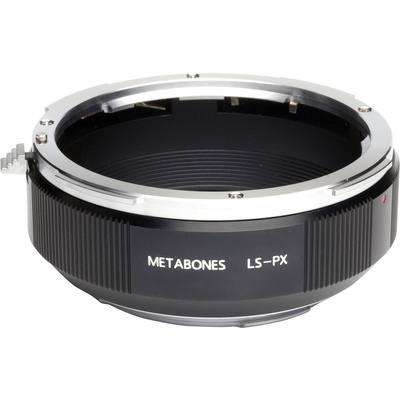 The Pentax 67 Lens to Leica S Camera Lens Mount Adapter from Metabones allows a Pentax 67 mount lens to be attached to Leica S cameras. Metabones adapters are quality made, using precision-machined brass with chromium plating on both the camera-body and the lens sides of the adapter in order to ensure smooth mounting, quality aesthetic, and durability. This adapter uses a matte-black finish to minimise internal reflection. Although the lens will fit physically, automatic diaphragm (AE metering), or other auto functions are not retained using this adapter.